A loan of $425 helped to purchase more animals. Haneefan, age 57, is a married woman. She deals in the business of selling animals. She buys animals such as baby goats and calves at low prices, brings them up, and then sells them out in the market at higher prices. Haneefan makes enough through her business to contribute to her family's income. 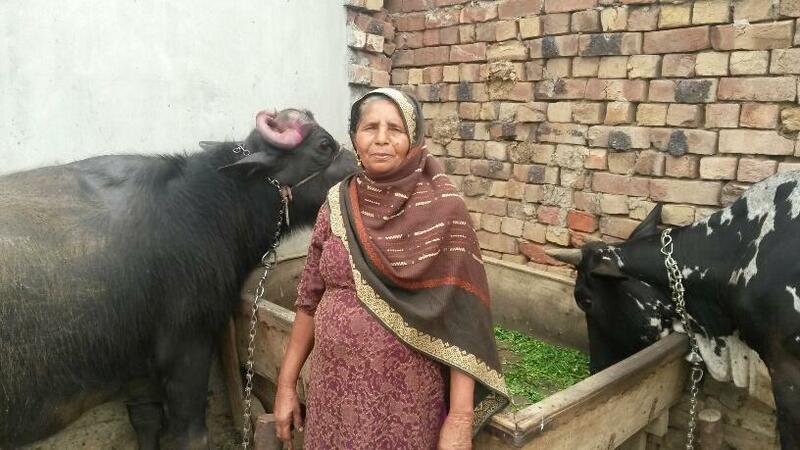 She also sells milk to generate extra income, but she needs to improve her business to manage her household expenses. For this reason, Haneefan contacted Kashf Foundation and applied for a loan of PKR 40,000 to purchase more animals. She is very experienced and has good contacts in the market. With this loan, Haneefan will definitely expand her business and improve her income level.